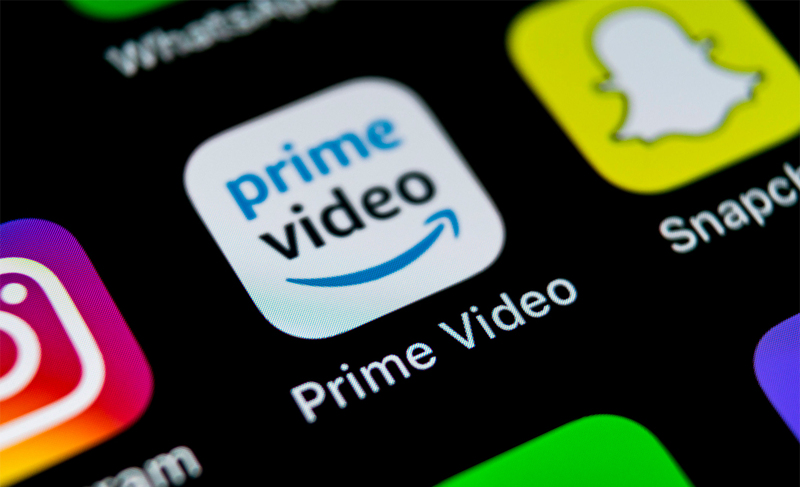 The addiction & recovery experts at Teen Rehab have named Amazon’s Prime video as the gold standard of offering quality movies about addiction & recovery content on the internet. Indeed, Amazon recovery education is the real deal because Amazon has made such a concerted effort. Amazon Prime video offers an extensive catalog of shows and movies about addiction and recovery to Amazon Prime members for free. If you are a parent and you are paying for Amazon Prime, you are not alone. Most likely, you have chosen Amazon Prime for the free shipping of all items, plus a host of other benefits like Amazon Music and Amazon Studios exclusive television series. However, what you may not have realized is that Amazon Prime can help you help your child by providing a variety of ways to learn about drugs and alcohol through their documentaries and some of the best movies about addiction. Moreover, the quality Amazon recovery material will not only help educate you. Indeed, the content also will help you educate your child about the dangers of substance use disorder. With a variety of valuable mini-series, documentaries, and films freely available on the platform, Amazon is like having an ace of spades in your back pocket. Given the stakes involved, a threat to the life of your child, doesn’t it make sense to take advantage of any opportunity around? Indeed, Amazon Prime Video can open a doorway for you that leads to a wealth of information and resources. Shouldn’t you learn about this frightening challenge? Isn’t it time that every parent or caregiver took the proper steps to understand this national crisis? A new offering by Greg Williams, the director of Anonymous People, the cutting-edge documentary about removing stigma, this compelling documentary shows how one community overwhelmed by addiction started a youth addiction recovery movement that proved to be quite inspiring. Starring Edem Agbley, the show addresses addiction as one of the common problems encountered by people. Each episode runs about five minutes and reveals a new tool that can help lead to long-term recovery. Director Michael Webster examines the lives of people suffering from a variety of addictions as they struggle to find a path to sustainable sobriety. Each heartbreaking episode runs about 45 minutes, and the emotional power promotes identification by anyone suffering as well. As directed by Ron Meyer and starring Bill Ambrose, this incisive series examines the human brain, drugs of abuse, drugs in the brain, and how to overcome addiction. By taking a scientific approach, it can open the door for young people resistant to more spiritual approaches to recovery. Directed by Glenn Gordon Caron and starring Michael Keaton, the film chronicles the downward spiral of a young real estate executive whose addiction has taken over his life. Once he hits bottom, he chooses to embrace recovery and attend 12-Step meetings. After all, either he becomes clean and sober, or he dies from his disease. Although this is an older movie, it’s message still propels it into one of our top 10 movies on Amazon Prime dealing with addiction. The sweeping pandemic of heroin use and prescription painkiller abuse is examined. The dangerous threat of opioid addiction in America is revealed in this hour-long documentary, including relapse and overdose. As directed by Justin Hunt and narrated by Val Kilmer, this powerful substance abuse documentary reveals the devastation that crystal methamphetamine has unleashed across America. From the ugly price of addiction to the rise in violence, The 75-minute long documentary shows how the drug dismantles a family unit. As narrated by Ed Harris, this substance abuse documentary is an in-depth examination of the opioid crisis. The piece brings medical professionals across the country together to discuss the crisis, what it costs the country, and potential intelligent response to the drug epidemic. By telling the compelling stories of people struggling from truly bizarre addictions, director Joseph R. Fitzgerald provides access to people struggling with more normative addictions. When a teenager sees their behavior weirdly reflected, they might be more willing to access help. As directed by Caro Meldrum-Hannah, this international substance abuse documentary shows how crystal meth is ripping apart neighborhoods in Australia. Known as Ice, the drug is sold by motorcycle gangs and supplied by drug cartels. Indeed, once quiet towns are torn apart as more children become addicted. Although these are the best examples of the free content available on Amazon Prime video about these essential subjects, there is quite a bit more. Incredibly, this is just the beginning of Amazon Prime offerings that can help you. However, some safeguards should be taken when using video as a tool. A parent or guardian should watch the content first before showing it to their teenagers, particularly feature documentaries and movies about addiction and recovery. Often, such content, even when valuable, shows drug usage or tells addiction stories that can be triggering to people struggling with addictive disorders. If you teenager already has an issue with substance use disorder, it’s important to filter what they see. After all, the scare tactics of the past in propaganda films like ‘Reefer Madness’ have been proven to be ineffective. Instead, education and awareness is the key to helping your child understand the dangers of drug addiction and the need for quality recovery. At Teen Rehab, we understand how hard it is to talk with young people about drugs and alcohol. Indeed, it’s even harder to get them to listen. Nevertheless, this is an important mission for parents and guardians. When taking on such a mission, shows and movies about addiction on Amazon Prime video is a great place to start.